Showing 10001-10500 of 25705 contests. Creating a logo for a new company specializing in placing seniors in Assisted Living Facilities. Create a 'best of' badge for the care centers! Create a start up logo for intravenous hydration and vitamin bar. And yes, we cure hangovers too!! eHealth.Marketing & eHealth.Business: Join us and shape the eHealth brand in Germany with your design. Please help create a logo for an old fashioned independent pharmacy. Create a passionate logo to attract people who want to BREAK FREE from IBS! Create a NEW logo for a Dental Office Chain Re-vamp! Create a modern, easy to use website & logo for a pediatric practice. Create a modern, happy design targeted to mainstream pregnant women for Hampton Roads Placenta Encapsulation. Create a simple, yet creative logo for Lovett Counseling! Revolutionary Medical Device Company Needs your Help! Have a big heart for horses and children? This is the logo contest for you! Help rebrand and update a Chiropractic and Massage Clinic! Help create a logo for a dental office! Create a captivating Logo for a young passionate Dentist dedicated to excellent honest health care. Create a signature logo for our dental practice! Inspire people who save lives into awesomer ways of working!! A logo for Heart Clinic with name "Nordic Heart Center"
Neck & Back Pain Relief campaign. Drugfree & Holistic. High Tech Communications Product Logo (need quick!) Thanks! Design a nice eyecare logo for my new office. Create a stunning dental implant logo design! Dental office updating image, trolling for hipsters because our old pts are dying! Create a modern professional logo for my new eye care practice. Create a classic logo for Family Home Care Services! In Bloom Midwifery needing a logo! Help People Get Well and Stay Well with LivingWellTherapy! Create a high class logo for a doctor specialised in aesthetic medicine ! Design Trade Show Banners for MedVantage! Create a captivating, but caring design packaging to enhance people's sitting experience. Help us design a logo to go with our new name "Pursuit of Excellence Study Club"
Logo Branding Needed . . . Give my company a facelift!!! Create a unique, modern and powerful health clinic logo that stands out in crowds! Saving lives in high level threat environments! Create a capturing and classic illustration for Bena Health! Creative PIE logo, Successful/Different Orthodontic Practice! Yes, its a PIE logo, crazy fun, huh! Adroll banner ad pack needed. Only the best! Creat a capturing Logo for an innovative spine and orthopedic clinic. Please, go with a lot of fun in my logo. I'm looking for something creative and innovative. Thanks! Create a Logo for GENPHY depicting team work,health & happiness. Create a professional yet all-encompasing logo for the company about to redefine elderly care! Create a logo for an innovative collective of doctors serving Latino communities in the U.S.
*GUARANTEED* Simple & Bold Logo needed for Medical Educational Platform! Welke design topper maakt het logo voor Arboselectie? Software startup needs an awesome logo! Guaranteed Money! He DOC, Help us Stick it to the Man! Create an image capturing innovation and patient-centredness for a network of kidney researchers! Create an engaging logo for a wellness center - "Mend Wellness"
Are you the best designer to win my trust? Who will create our new logo for the fastest growing clinic in the Netherlands? Create an impactful modern logo for natural beauty and health products. Help design the future of medicine! Logo for medical education company. Create an eye-catching, professional logo to be used in the medical industry. Create a clean, elegant logo/brand for Tate Family Dentistry. Need an AWESOME logo for a SUPER-RAD start-up in the healthcare/ pharmaceutical industry. Create a stunning, head turning, classy, and unique business card and logo for a compassionate dentist in rural town. Erstellt die Identität für ein Kompetenz-Netzwerk in der Medizintechnik namens CleanMed! Let's bring this logo into the 21st Century! Help!!!! Need lots of guidance. Lakeside Family Dentistry logo contest! Creat a brand identity that will proudly stand out against the boring image of safety brands!!! Help Physicians Make More Money.....Yup you read it right! Erstellt uns eine Hebammenseite ohne Baby-Storch-Bauch-Klischees! Update the logo for a hometown pharmacy and help us appeal to a younger generation. Create a warm, sophisticated logo for fertility clinic, CMD Fertility. Design an eye catching book cover for a self-directed wellness book. Create a capturing nautilus logo for our new website. See our website to learn more about us. Create a logo for a new brand of Healthcare products !!!! In need of creative minds to make our medical products company standout! Design a logo for a Cannabis extracts company! Create a medical marijuana, pharma-type logo for a new company based in Florida. Alert Medical Systems - Help when you need it most. Looking for creative minds to design a logo for Greg Maruki Acupuncture. Ancient, yet modern. Group of top medical design engineers need simple website to advertise their skills! QUIKSHIP - will be 3 stores using similar logo, medical, auto and media. Logo serio para Clínica Dental. Create an eye popping logo+ for the newest home infusion company in the medical community! Real-world Gattaca clinic logo. Abstract and sophisticated. One design that will lead to many more opportunities. Open to free minded ideas! Exponential Body needs your high-tech medical feel! Can you see clearly to attract a doctor? The medical center(s) is/are modern state-of-the-art facility(ies) that provide medical care. Create a logo that will drive a startup for Press Medical!!! EZ-4-U, When you feel sick, you shouldn't have to wait. Help people have babies with your logo design!!! Help us create an elegant, luxury logo for an invincible effective Cordyceps product! Create an image that will help improve smiles! Create a professional, sleek design for a surgical center. Create a distinctive brand logo for a dentist who commutes between Chicago and Honolulu! Create an amazing logo to heal and assist children in need. "Doctor and specialist in psychotherapy" clean, cool and simple. Create the feeling of trust, health and calm for expecting moms at a glance. Create a fresh updated design for an ankle and foot medical practice. Create something modern but also business professional. Help Me! My old logo was a no-go. 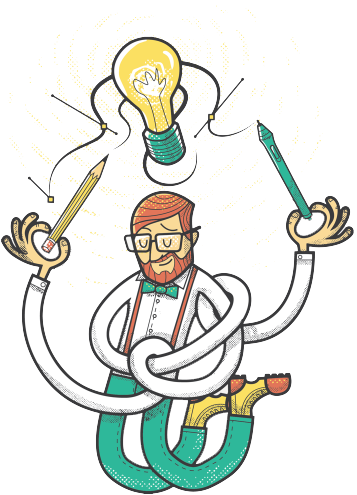 I need a sophisticated design that SHOUTS Innovative, Strategic and Collaborative Problem Solver! Create awesome business card for niche medical supply & training company. capture th essence of "sleep disorders cutting edge solutions" and win! logo for modern, cool, chic integrative medicine practice to wow our city! Attractive logo for "Health Travellers Worldwide" - an Independent Health Advisory. Create a Banner for a Social Network aimed at Alternative Medicine! Create a modern, professional logo for small animal veterinary clinic. Design an eye catching, fun logo for children's dentistry! Create an awesome logo for our dental office that people will never forget!!! Spine Care South Africa needs a logo! Cannabis/Marijuana brand for cutting edge company in an emerging industry!